The DLM Load Control Module is a 50-Amp contactor housed in a NEMA 3R enclosure for indoor and outdoor installation applications. Through the use of the DLM Modules in conjunction with any of the 100-400-Amp Nexus Smart Switches, household or business loads can be intelligently managed enabling the use of a smaller, more efficient generator system. Up to four DLM Modules can be used with a single switch. Generac's Guardian Series generators provide the automatic backup power you need to protect your home and family during a power outage. 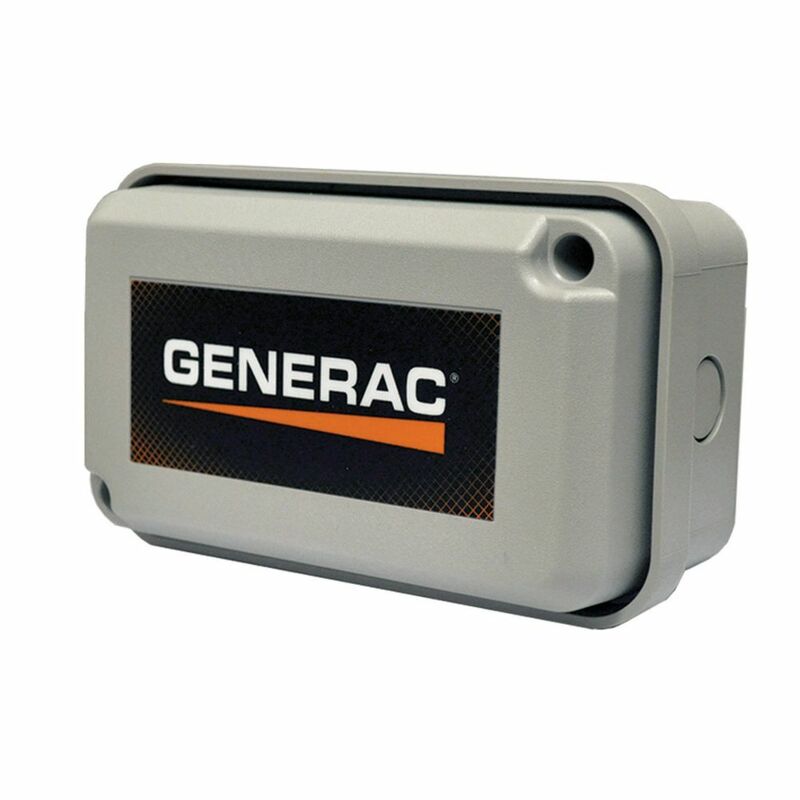 Connected to your existing LP or natural gas fuel supply, it kicks in within seconds of sensing power loss automatically and runs for as long as necessary until utility power returns. Choose from Generac's industry leading lineup to power just the essentials or up to 22 kW, the largest air-cooled generator in the market for whole-house coverage. Now coming with FREE Mobile Link, allowing you to monitor the status of your generator on a phone, tablet or computer from anywhere in the world. Giving you the ability to connect your account to your authorized service dealer for fast, friendly and convenient assistance. Premium features on Generac Quiet Source Series generators provide extra-quiet backup power for larger residential and light commercial applications. Powered by a low-speed, automotive style liquid-cooled engine, Quiet Source Series models provide ultra-quiet operation during normal operation and weekly exercise mode with exclusive Quiet-Test feature. Standard all-weather aluminum enclosure with RhinoCoat paint finish delivers ultimate protection from the elements. cUL Listed. This item cannot be returned. DLM 50 amp Load Management Module The DLM Load Control Module is a 50-Amp contactor housed in a NEMA 3R enclosure for indoor and outdoor installation applications. Through the use of the DLM Modules in conjunction with any of the 100-400-Amp Nexus Smart Switches, household or business loads can be intelligently managed enabling the use of a smaller, more efficient generator system. Up to four DLM Modules can be used with a single switch. DLM 50 amp Load Management Module is rated 4.0 out of 5 by 10. Rated 5 out of 5 by JoeK from The product worked as designed! !....................not a problem doing the HD... The product worked as designed! !....................not a problem doing the HD Survey, "Suggestion", have a printable HD discount coupon available when survey is completed. Submitting for a $1K winning.... the winner is NEVER published....just a BIG unreachable "tease" Like a carrot hanging in front of the Donkey!! Rated 3 out of 5 by John from It operates fine I have purchased 7 of these PMM's and installed 4, of the 4 2 buss very loud constantly. The reason I bought 3 more is that I don't have faith that they will hold up and I want spares on hand because the last 2 that I ordered about a month ago still have not arrived. Rated 4 out of 5 by DJ from The package is the key to this product. You can buy a 50 amp 240V contactor from many places but the key to this product is the packaging. It's NEMA rated enclosure means you can mount it just about anywhere. Make sure that you have either a 24VAC controller or a 120V/24V transformer to control the coil. Also, it is a "normally open" contactor so it must remain energized for your load to operate. Rated 5 out of 5 by dave from Load-shedding made easy A good, clever product, and the price is very reasonable. Installation is simple, but requires some wiring in the walls, so it's easiest to install it when the house is built. That said, it's worth the trouble, as it will allow the generator to automatically reduce its load if and when necessary. Rated 5 out of 5 by lumenarc from The DLM is built very well. I used the DLM to turn my hot tub off when the generator comes on so it doesn't overload the genset.Works perfect with the Nexus smart switch. Rated 4 out of 5 by Contractor from Works OK; LOUD; Life Questionable The basic problem with the DLM--which is just a big contactor in a box--is that it's on 100% of the time, rather than on-in-event-of-problem. Of the three DLMs in my system, one has a 60-cycle hum that's so loud you can hear it outside. I have no idea how to fix that other than buying a new DLM. If you need load-shedding capability in your backup generator, you have no choice but to use the DLM. Technically, it's not an elegant solution, though.